CPaT has long offered online aviation courses for specific aircraft manufacturers. Similarly, we offer computer-based training programs for general subjects with which pilots are most likely to come into contact. 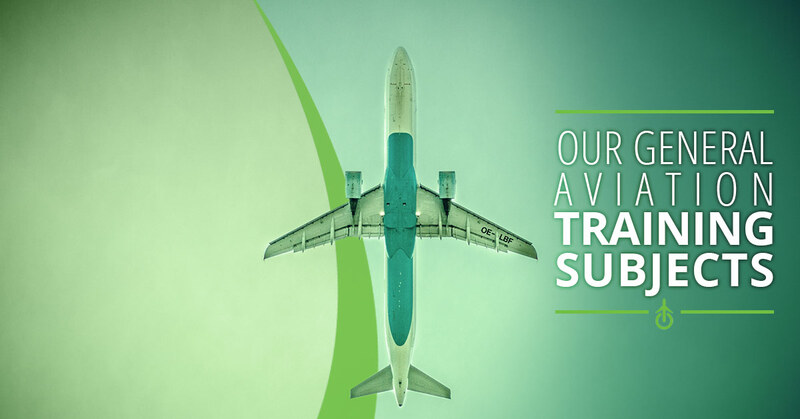 Curious about for which subjects CPaT has crafted user-friendly online pilot training programs? Continue reading below to learn more about how CPaT’s proprietary online aviation courses and which ones are right for you. There are fewer other situations a pilot can face that are as harrowing as jet upset. Focusing on upset types and recovery methods, this online aviation training course provides complete systems training by use of proprietary graphics, texts, audio, and level-three interactive training. Available for both desktop and mobile application, our custom training program for jet upset is aimed at providing you with expert knowledge — all of which is tested via our knowledge assessment at the end of each module. This program’s study time is 25 minutes, and can be used both offline and online with the ability to resync once connectivity is (re-)established. Every pilot must know the proper protocol for adequately operating an aircraft in low visibility. CPaT understands that this condition is one that causes pilots many issues — which is part of the foundation on which our low visibility training program is established. Building upon each module, this online aviation training program offers trainees the chance to experience low visibility conditions in a safe, user-friendly training platform that’s available both online and offline. CPaT’s predictive windshear online aviation training course prepares pilots for battling and avoiding severe wind conditions through a series of custom texts, graphics, animations, and audio components. This computer-based training offers trainees unmatched training for dealing with far from ideal wind conditions via 25-minute study times, culminating in a knowledge assessment that illustrates your mastery of each component. Properly understanding and responding to weather radar systems is of the utmost important for pilots. With CPaT’s online pilot training for weather radar, you’ll get unique audio, text, graphics and animations, and learning materials that are sure to give you the tools for properly understanding weather radar systems. With knowledge assessments at the end of each module, you’ll receive feedback for better understanding in which areas you excel and which areas in which you need to improve. In today’s travel environment —particularly international travel — weapons are a common theme for which security personnel look. Pilots should also be on the lookout for weapons that may be commonly used for harming or hijacking a plane. With CPaT’s proprietary weapons online training course, you’ll be sure to get the best in training to be on the lookout for common weapons, as well as how to respond should weapons make it aboard your aircraft. Since Iceland’s 2010 Eyjafjallajökull volcano eruption, it seems that more and more people are paying attention to volcanic ash that can disrupt flight paths — even thousands of kilometers or miles away. CPaT offers training to deal with volcanic ash via custom audio, graphics, text, animation, knowledge assessment, and level-three training. As with all CPaT general subjects and distance learning courses, each component meets regulatory compliance. CPaT’s traffic collision avoidance system modules provide trainees with unparalleled online aviation training by way of proprietary graphics, audio, texts, graphics, and level-three training — the highest level of aviation training. Culminating each module with a knowledge assessment, CPaT’s training course gives you the ins and out needed to master the TCAS. Meeting regulatory compliance, each online aviation training program is crafted with a 25-minute study time. Our reduced vertical separation minimum online aviation training course is designed to give pilots the best in RSVM training. Utilizing custom graphics, texts, audio, and level-three training, this RVSM training course remains unmatched in computer-based training programs. Each program is designed with a study time of 25 minutes, and meets all regulatory compliance, ensuring that you receive the proper training. This module — like all CPaT online aviation training courses — is delivered via the CPaT mobile application, allowing you to study whenever you’d like, wherever you find yourself. Complete with a knowledge assessment at the end of each module, CPaT’s custom online aviation training for MNPS offers the best in distance learning courses for flight training. Hazardous materials training is perhaps one of the most important training components offered at CPaT. Designed for flight crews and ground staff, CPaT’s HAZMAT training course gives students the tools needed to properly identify hazardous materials via audio, text, graphics and animation, and level-three interactive training. Delivered on CPaT’s proprietary custom mobile application, you can utilize each module at your own pace and convenience both on- and offline. CPaT provides unmatched extended-range twin-engine operation performance standards training to ensure that you’re given the best tools possible for addressing any issues along your flight path. This online aviation training program requires four hours of interactive training, with each module resulting in a knowledge assessment designed to test your understanding and application of the course materials. CPaT offers online aviation training concerning controller pilot data link communication with its main principles covering various data link services and and basic CPDLC aviation operations. Our CPDLC distance training course gives trainees the tools and skills needed to properly understand and utilize all information learned in a real-world setting. Through custom text, audio, graphics, and level-three training, our CPDLC course delivers the best in online aviation training. CPaT’s controlled flight into terrain online aviation course is carefully crafted to give trainees the skills and tools needed to navigate the terrain awareness warning system (TAWS) installed on each turboprop and jet aircraft. Through a series of custom text, audio, graphics, animations, and level-three interactive training, CPaT’s CFIT online aviation training program culminates in a knowledge assessment that’s geared towards providing you a clearer understanding of your newfound mastery of the CFIT system. Flying through intensely cold weather can be one of the more harrow experience a pilot can face. CPaT understands this, and has expertly crafted an online aviation training course designed to address these issues by providing trainees with a series of custom graphics, animations, text, audio, and level-three training. As with all CPaT training modules, this course culminates in a knowledge assessment. CPaT strives to deliver unparalleled online aviation courses designed to give initial and recurrent participants the skills and tools needed to master their aircraft and any condition thrown at them, If you have any questions about any of the courses listed above, please don’t hesitate to contact us today.